I think that's part of the paypal options as you subscribe. Ah must've missed it. I'll try to remember to pay again in a year. yeah, i have to find a picture of myself that isn't of me mooning the camera. i'll get something by Tunaball, but i'd rather be late to the party, then not go at all. I would like to Simon but it says "simonized has no paid subscriptions for you". 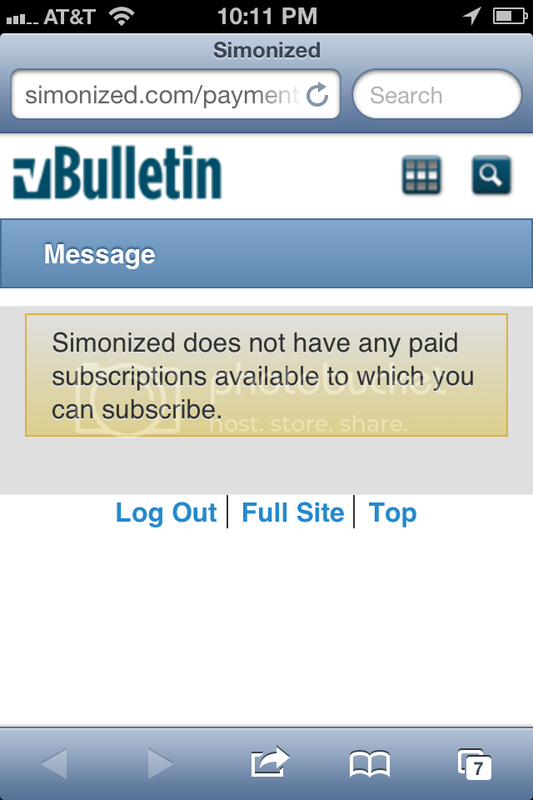 "Simonized does not have any paid subscriptions available to which you can subscribe." We can't see or find any reasons why it wouldn't work. Can you take a screen shot of what is coming up?